One branch of the Trail of Tears runs past our house. 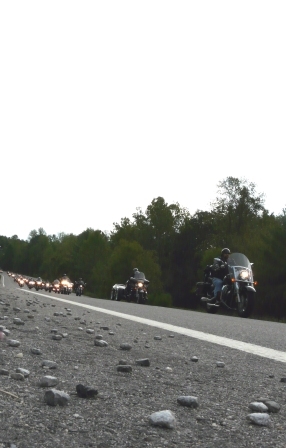 Every year, hundreds of bikers break the silence in their commemorative ride. This entry was posted in Travels on September 17, 2011 by David George Haskell.